Community Action Northumberland (CAN) has received a grant to help vulnerable people with their energy needs. It is one of the winners of National Energy Action’s Warm and Safe Homes Campaign (WASH) awards. As part of the campaign, NEA has provided funding to 25 organisations across the UK to run community events to help people with their energy needs. The CAN event will take place at the Seahouses Hub, Stone Close, Seahouses, on Friday, February 15, from 11.30am to 3pm. It will cover energy support provided through switching, the Priority Services Register and information about renewables. It will be buying slow cookers and working with the foodbank to showcase these and other energy saving equipment. It will be working with organisations including Citizens Advice, Northumberland County Council and the NHS and will also engage with village halls, parish councils, warm hubs, the Rotary Club, youth groups, Polish groups and hubs for the unemployed. 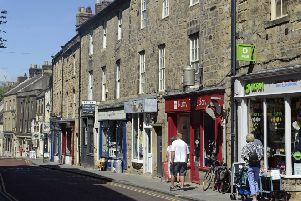 CAN is planning to hold the event in Seahouses as it is a large off-gas settlement whose demographics include elderly people as well as families. It has a strong Polish and Latvian community.